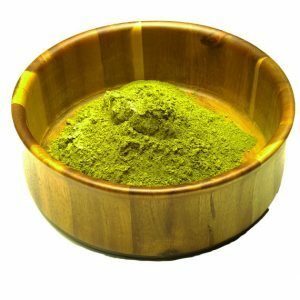 Why Choose Miracle Kratom Over Any Other Shop in Columbus Ohio? It is no secret that if you don't have a great vendor, you're not going to have a great product. The freshest Kratom powders come from people who only sell mass quantities of powder on a daily basis. Our vendor sells thousands of tons everyday. The rotation of their Kratom is so fast, there is no time for it to sit on a shelf in a warehouse and old. Our vendor work with the best farmers in the best locations to produce the BEST strains. To sell the Kratom that we purchase, our minimum order is 200 HUNDRED kilos at a time. The same rules apply for every reseller who purchases from our vendor. There is no time for the Kratom to sit on shelves. Our vendor receives the freshest Kratom on the planet. It takes about 10 days to get to our vendor directly from their farmers and we then receive it 3 to 4 days later. Freshness matters and we bring that to the table for our customers every single time! We pride ourselves on the fact that we don't vendor shop like head shops and the other shops in town who use different vendors every time just to save a few bucks. It's not fair to you and it's not worth destroying our reputation. When you shop at Miracle Kratom, you know you are getting the best quality Kratom in the area! No one in town can beat our prices. Period. For the superior Kratom you get in return, we want you to walk out of our store satisfied and not feeling like you've just being squeezed out of every dime you have. For those who know us, you know we give deals all the time. We enjoy sharing Kratom with our community and whenever we can, we run promotions and giveaways. We always want you to be happy with every purchase from Miracle Kratom and we want you to leave our store smiling. Customer service is one of the most important parts of business when it comes to owning a retail shop. At Miracle Kratom we PRIDE ourselves on our customer service. All of our team members are ready to help answer any questions you have. Because we're not concerned about saving a few bucks per kilo as we've already explained by not using the cheapest none lab tested vendor, you can rest easy and always know you are getting the same high quality Kratom every time. If it doesn't pass our test, it doesn't get sold and gets shipped back to our vendor. Quality and customer satisfaction are at the top of our list, so you can always feel confident that if you shop with Miracle Kratom, you've got the best Kratom around. Not only do we carry the most number of Kratom strains, we also carry the largest stock in town. Have you been turned down at other shops for wanting to buy a whole Kilo or multiple Kilos at once? Not at Miracle Kratom. 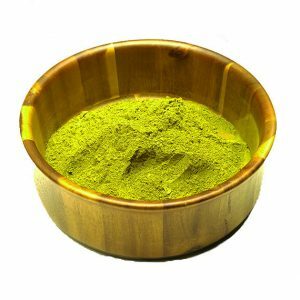 We understand some people prefer to buy in bulk and we are prepared for it and welcome large quantity Kratom powder orders. We also give deals the more you purchase of course.